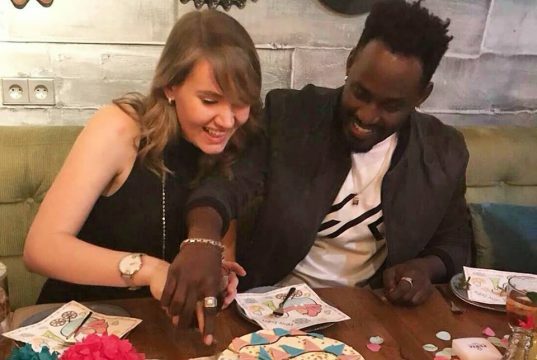 KAMPALA.Maurice Kirya, 34, a.k.a king of Mwoyo is overjoyed after his muzungu girlfriend called Gcveer Breek with whom they have spent close to two years gave birth to a bouncing baby girl yesterday. “I am in love, oh what a joy it is to meet you,” the first time father posted on one of his social media platforms this afternoon. This is the first child to the couple and the delivery is said to have gone down in Australia where Breek’s family lives. 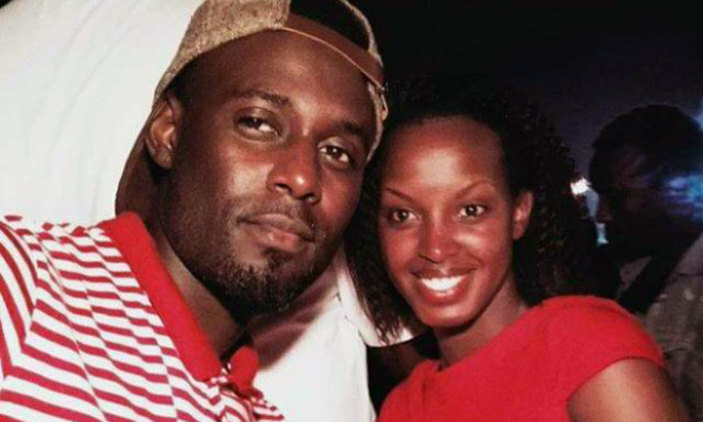 Maurice has for a long time been linked to a number of girls in Kampala including Capital FM’s Flavia Tumusiime but the birth of his daughter could signify that he is no longer a bachelor, a thing which has broken many hearts that could have haboured hopes of one day being Kirya’s other half. 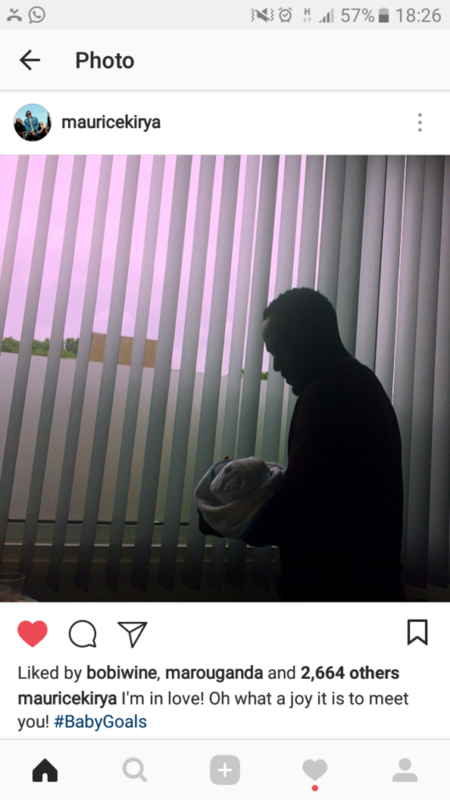 Kirya is the third born in a family of five children, four boys and one girl and he has spent about 15years in the music industry.